My husband and I took Hayden to see Big Hero 6 when it first hit theaters so we could enjoy some bonding time just the three of us. We absolutely loved the movie and we were quoting it for weeks after. 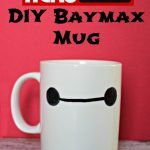 I even made a DIY Baymax Mug that I enjoy my morning coffee in – it’s my own personal health companion because we all know how much we need coffee, right? 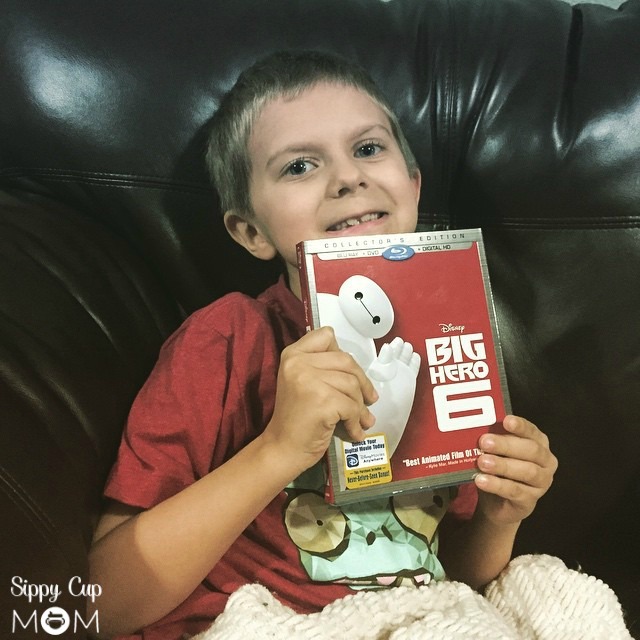 Hayden had been sick for the last week with the flu but when an advanced copy of Big Hero 6 showed up on our door, he was overjoyed. We quickly settled in as a family to watch it again. 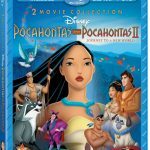 I absolutely love this movie and it seems so does everyone else – it just recently surpassed Beauty and the Beast to become Disney’s third grossing film after Frozen and The Lion King. 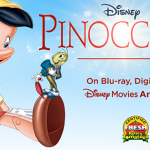 It also recently won the Oscar for Best Animated Film! I loved being able to watch FEAST again – it’s such a great short and anyone with kids and a dog will relate. The deleted scenes were great and I especially loved the Big Hero Secrets – lots of Easter Eggs for you Frozen fans out there! 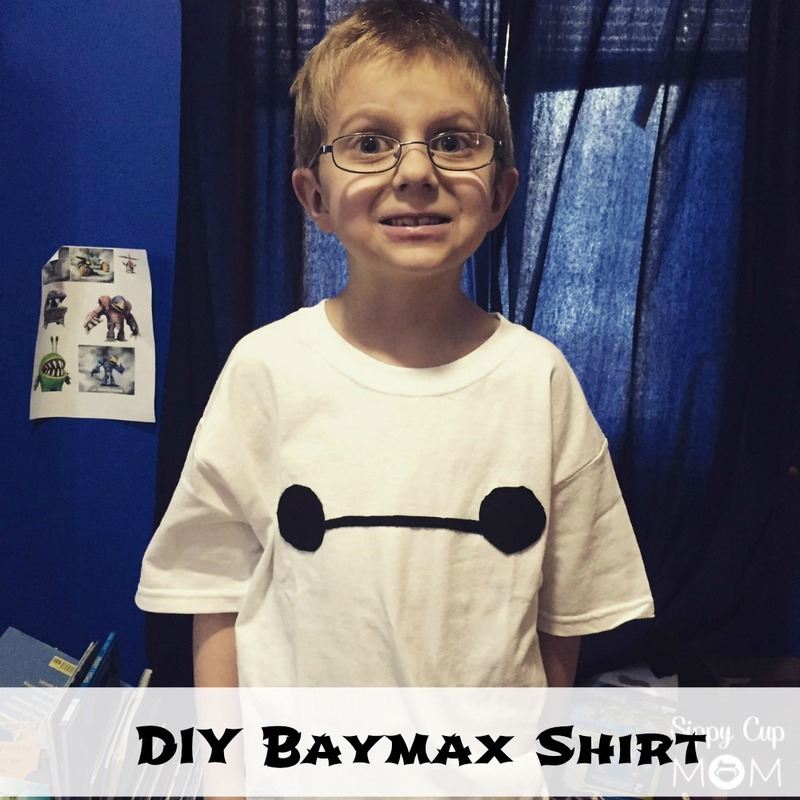 Hayden loves Baymax so much – Ba La La – that we made an easy DIY Baymax shirt. The Disney Store has a lot of cute Big Hero 6 items for sale but nothing like the shirt I envisioned for Hayden. Even better, it’s SO easy to make this shirt. If you’ve read any of my craft tutorials before, you know I like easy and I most definitely DO NOT sew. So all I bought was a kid’s t-shirt, black felt and some fabric glue. I thought about using paint but I liked the look of the black felt. If you want, you can print this template of Baymax’s face and then place on top of the felt and cut around it. I kind of just used the template as a guide to cut out the perfect shape of his eyes and mouth. Use fabric glue to put the felt on the shirt and you’re done! Easiest shirt I’ve ever made! 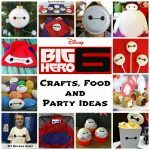 Are you looking for some more Big Hero 6 fun? 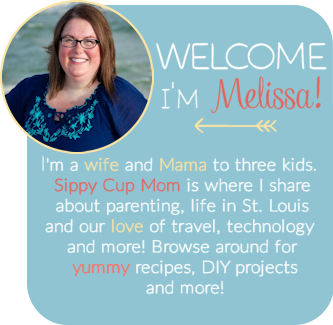 Check out these great posts below! Will you be watching Big Hero 6 on Blu-ray, DVD or Disney Movies Anywhere? It’s available now! 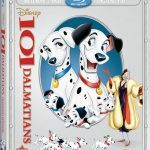 DIY 101 Dalmatians Shirt + Release on Blu-ray! That is such a cute craft themed from such a cute movie. Big Hero 6 is one of my favorite movies! we will be watching. my youngest is to small so we don’t go to the actual theater with the boys yet. is it worth buying or is it a renting movie? This movie looks great! I can’t wait to pick up the DVD. Woohoo! I’m going to pick it up this weekend! I have not seen that movie yet with my kids but I hear so much about it. I wonder if it’s appropriate for my 4-year-old? I have heard such great things about this movie! The DIY shirt turned out really cute too! I really need to see this movie. I love the shirt, my nephew loves Baymax so he would love that shirt too. It’s our youngest’s birthday this week, and you know Big Hero 6 will be on our shopping list. Yes, I still haven’t picked up presents!! I’ll definitely be picking this up on Blu-Ray. Baymax was so cool! I can’t wait to see it again. I heard this movie is really cute! I love the idea of making your own shirt to wear during watching it, or to make before watching it. FUN! I loved the movie so much–and so did my daughter. Love these products. Disney certainly knows how to create a winner. Just an awesome movie. I adore that shirt. I haven’t seen Big Hero 6. But I am sure we will be watching it soon. my kids can’t wait to see this movie. I’m sure it will be soon. just need a weekend where we aren’t super busy. OMG< I need to get my copy now! My kids love this movie! I <3 your shirt! I liked that movie, we saw it in theaters. I also really liked that short, it was a memorable/good one! 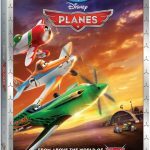 How much fun, your son looks like he is so happy to start watching this DVD. My son is excited to check it out. This looks like something my kids would love to have. We haven’t seen this movie yet, but I’ll have to check it out. Oh we have to pick it up to watch too! I love the shirt! Fun! Very energetic post, I liked that ɑ lot. Ԝill there be a part 2?